Rihanna is a busy bad gal this year. She's back with a fall makeup collection with MAC Cosmetics. 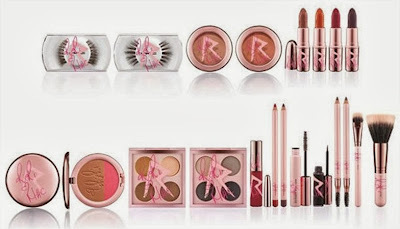 RiRi Hearts MAC Fall 2013 collection will be available online and in stores on October 3rd. Her collection consists of lipsticks, eyelashes, makeup brushes and more. Will you be adding this to your fall makeup bag?